A while back I purchased some new eyeshadows for my MAC palette. I decided to go for Vanilla and Nylon as I needed some lighter shades in my palette, although the pictures don't do much justice for these eyeshadows. Let me just tell you, in the words of Bruce Nolan (Bruce Almighty) they are B-E-A-UTIFUL! and a staple in everyone's MAC palette. I could do with some medium/darker shades to blend in the crease now. Does anyone recommend any? Preferably on the neutral side of shadows. You can't beat a new MAC eyeshadow! They just seem to glide and blend so easily on the eye compared to other eyeshadows I've tested. Works best:Inner corner of the eyes, base, brow bone and crease. 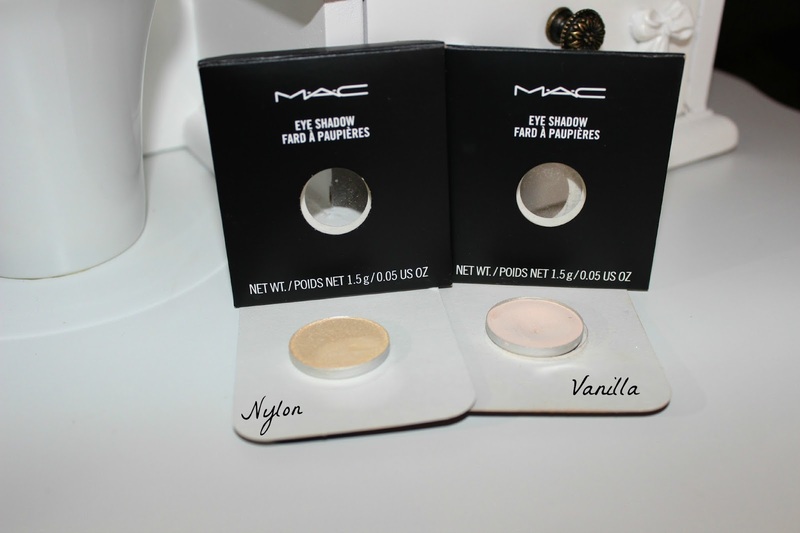 This is just one of those staple eyeshadows that everyone needs in their MAC palette! I love using this eyeshadow in the inner corners of my eyes, under my brow bone and as a base on my lid. I even apply this all over the lid sometimes before applying the shade I'm going to wear, just to brighten it up a little. Although it appears to have a tiny sparkle in the pan the eyeshadow does apply as a matte. I use this eyeshadow everyday without a doubt. I'm getting pretty close to hitting pan already! Works best: In the inner corners of the eye and on the brow bone to define that brow! This eyeshadow is super shimmery! 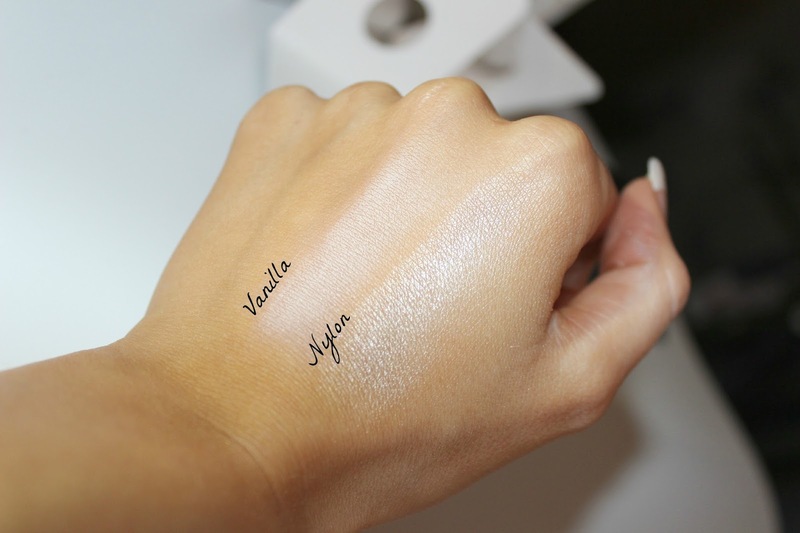 It works great as a highlighter, but I wouldn't advise wearing it on the base/lid, unless if you can make it work. Unfortunately I'm not lucky enough to pull it off, but it does look amazing in the inner tear duct area. I love wearing this especially on nights out. It adds great effects to a dramatic eye look. Do you own any of these eyeshadows? What's your all time favourite MAC eyeshadow? Nylon is such a pretty highlight! Vanilla is also a staple highlight! Both these shades look so gorgeous ! I love the look of nylon, so pretty! I need a few more lighter shades too! Love the look of the Nylon shade! I'm addicted to Vanilla, I don't go a day without it! Bet it looks stunning with your skin tone too!